Come Together Kids: Shutterfly Card GIVEAWAY!! I'm torn between Wonder of Wonders and Fun Filmstrip. They have so many amazing cards, it's hard to choose! My favorite style is the Merry Montage. It's hard to find cards that say Merry Christmas these days! Hi Laura. Thank you for the chance to win Christmas cards. It is really hard to choose. My favorite Shutterfly cards are the Family Snowfall or the Sparkling Snowflakes. Thanks again! I love the Festive Floral card! SO many wonderful choices, thanks for the giveaway! The Simply Love one is adorable :) But then again, most of theirs are nice and simple, which I love! nothing over the top! Great Giveaway, thanks! I love shutterfly. This year we are going with a reindeer card! Hard to choose, but my favorite would have to be Dove of Peace . There are some great cards out there aren't there? I love the really simple monogram one. I love the flurry of snowflakes card. HOpe i win! I like the confetti jacks one! My favorite card is Holly Jolly Joy! I used them for last year's Christmas cards and got more positive comments on our cards than ever! They were magnificent!!! I love the one called With Love Christmas Card that quotes, "And I think to my self, What a wonderful world!" I like the Merry Montage. I love the classic script greeting card. I like the Classic Monogrammed Wreath and I love your blog! 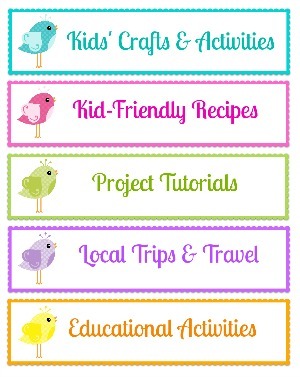 Great ideas and very cute kids! I like the Fun Little Snowman cards - just adorable! Love Shutterfly too! We do our yearly calendars and photo books on there. I like the Merry Montage best. At least right now. There were several others that might be favorites any given moment. i love the hanukkah cards. my favorite is the star of david. I love the so mod snowflake! Adorable! I love the holiday sketch card! I think my favorite is the 'Pictures Everywhere' design!!! Thanks for the giveaway! I like the Top Moments card the best! I love the Sweet Scalloped Frame Christmas Card! Wow! I can't believe how many cards they have. I was originally going to browse all of them, but I had to give up. One of the many that I like is the Keep Believing Collage. I wish I could have found one like the O Holy Night card that had four pictures. I love the Mighty God one! Oh I hope I win! I've already ordered a few of my favorite, Tropical Holiday Cheer card w/ a collage of pictures from our family vacation to the beach!! LOVE, LOVE, LOVE Shutterfly!!! I love the simple elegance of the Pine Wreath Monogram card! Thanks for the opportunity to win! I loved the Rustic Gallery one, and the With Love one was a close second!! Now I am going back to look at the rest of them, they have SO many :) I love Shutterfly!! I like ones that give you the options of many photos (it's really hard to narrow them down) so Dazzling Snowflake. I like the "All of us" design!!! So many to choose from! My favorite card design is probable "Love Peace Cheer"... but only because I already know what photo we'll be using this year and that design will look great for it! Otherwise, it would be too hard to choose! I really love all the bright designs. The Wonder of Wonders card is my favorite! I like the photo booth strip holiday card version, but there are so many great ones! I love their colorful merry & bright card. It's just too perfect for a photo of our little girl. I like the Snowman Giftwrap card - so cute! I really like the retro styles - either the warm and toasty, jingle all the way, or most wonderful time of the year - so cute! 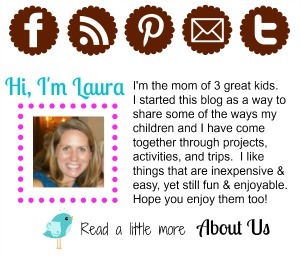 Thanks for the opportunity Laura! Pictures in Lights is probably what I will go with this year. Just my kids sweet faces! Wow...so many to choose from! Shutterfly made it so hard this year with so many wonderful choices. My favorite would have to be "Charming Dotted Ribbon" Simple yet elegant. I love the snowflake doodles card or the winter wishes! I love the Picture Tree Christmas Card!! have ordered almost everything lse from shutterfly except for cards, hm. i like the merry montage as well. I love the Very Merry Moments stationery cards! Too cute! I love your blog by the way, my girls loved making the flower pillows! Thanks so much!